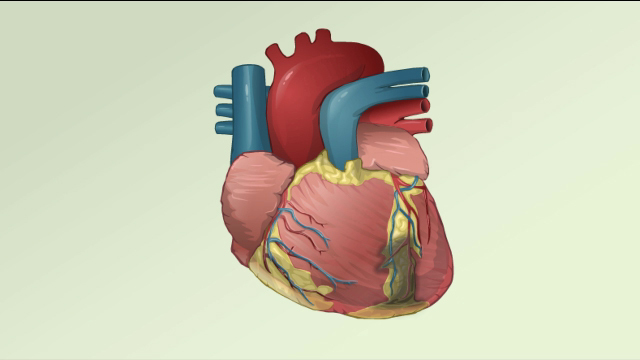 Small blood vessels called coronary arteries supply blood and oxygen to the heart. A heart attack can occur if a blood clot stops the flow of blood through one of these arteries. Unstable angina refers to chest pain and other warning signs that a heart attack may happen soon. It is most often caused by blood clots in the arteries. Some people may be given drugs to break up the clot if the artery is completely blocked. These drugs are called thrombolytics, or clot-busting drugs. They are only given for a type of heart attack, where certain changes are noted on the ECG. This type of heart attack is called an ST segment elevation myocardial infarction (STEMI). These drugs should be given as soon as possible after the chest pain first occurs (most often in less than 12 hours). The medicine is given through a vein (IV). Blood thinners taken by mouth may be prescribed later to prevent more clots from forming. The main risk when receiving clot-busting drugs is bleeding, especially bleeding in the brain. American College of Emergency Physicians; Society for Cardiovascular Angiography and Interventions, O'Gara PT, et al. 2013 ACCF/AHA guideline for the management of ST-elevation myocardial infarction: a report of the American College of Cardiology Foundation/American Heart Association Task Force on practice guidelines. J Am Coll Cardiol. 2013;61:e78-e140. PMID: 23256913 www.ncbi.nlm.nih.gov/pubmed/23256913. Amsterdam EA, Wenger NK, Brindis RG, et al. 2014 AHA/ACC guideline for the management of patients with non-ST-elevation acute coronary syndromes: a report of the American College of Cardiology/American Heart Association Task Force on practice guidelines. J Am Coll Cardiol. 2014;64:e139-e228. PMID: 25260718 www.ncbi.nlm.nih.gov/pubmed/25260718.